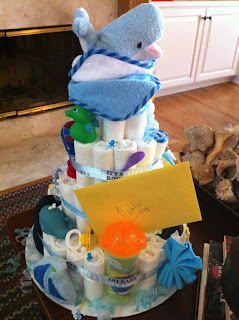 Nautical by Nature: Nautical Photo of the Week: Nautical Baby Shower! Remember Natalie's nautical shower I posted about here? Well Natalie actually had not one but TWO nautical baby showers! 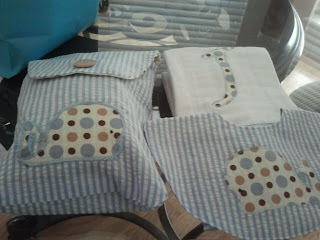 Here are photos from the shower her mother in law and friends hosted. The Cake: A mama and baby whale, made by Natalie's sister. 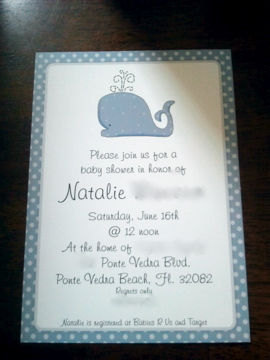 She hand cut the whale shape based on the invitation! 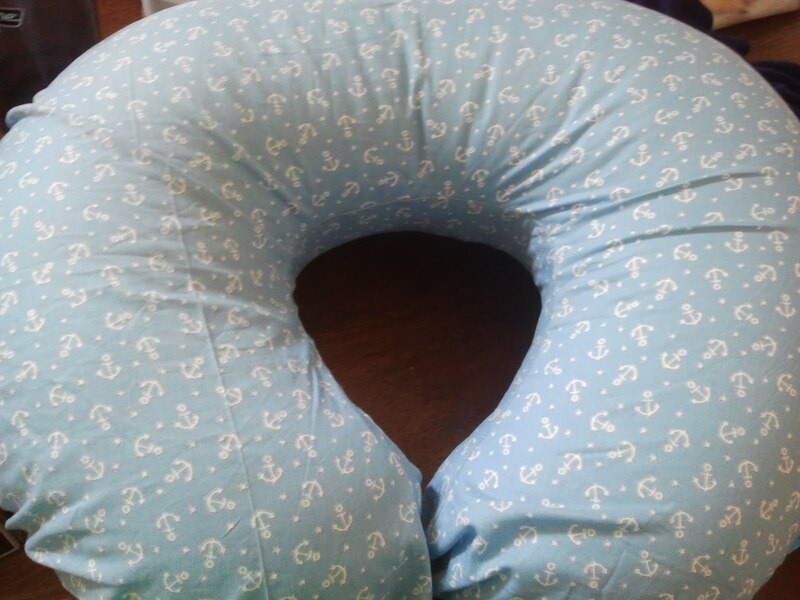 Anchor Boppy cover made by Natalie's mom! This is all just adorable!!! Cute shower! 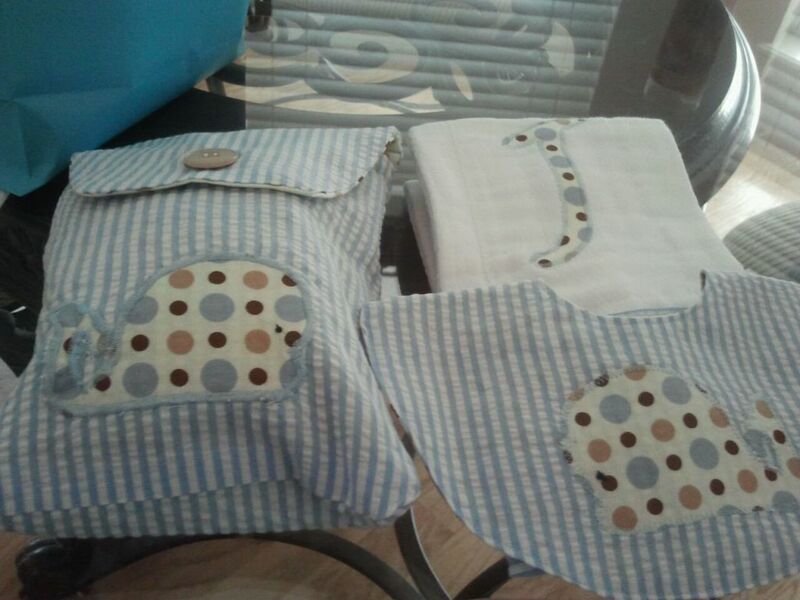 Lots of crafty people in that family! Oh my gosh, how precious! I want a cake like that for my next birthday, haha. Oh my goodness, this is too precious - as is Natalie, so how fitting! Just found out my sister in law is having a girl. I may have to pink up some of these ideas for her! 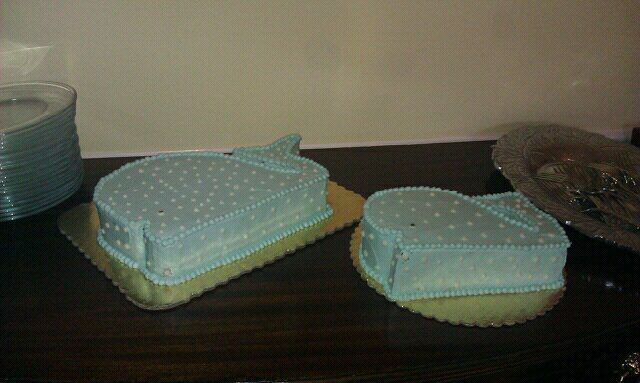 So cute, especially the cakes!